If you are pleased with the services or products that UKPPG has supplied you or you have had a good experience with either a Purchase or PPG Training, then please take the time to write us your Testimonial for others to appreciate. Your honest comments will help us to understand the ongoing needs and requirements of you, our customers and without you we cannot continue to grow. We really appreciate your time and efforts and we thank you for your support and custom with building UKPPG to become the largest suppliers and choice of PPG equipment in the UK and Ireland. Thank you to all of our past and present Students for your kinds words, we really do appreciate them all and we are very proud to put safe PPG pilots into the air. What are you waiting for? Give it a try !!! This is the life.....real living. I always wanted to fly but never thought my dream would come true so quickly. 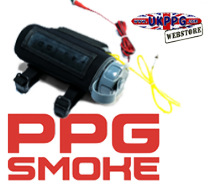 I came across PPG on youtube in June 2011 and by July I started training with UKPPG. Had my first flight on day 6 of training. I am so glad I went to UKPPG. Nobody else in the UK can offer the range of equipment and level of quality in training in my opinion. Even their after sales service is excellent and that says a lot these days! Nigel and Nikki, I thank you from the bottom of my heart for helping to make by dream a reality! Excellent training! Second to none. Nigel is by far best of the best with his methods and prospective pilots should look no further than UKPPG for they're training. I came with no background in flying and with Nigel's advice I now have every confidence in my skills and am ready to fly. Over the past months whenever the timing is just right for me, I ring Nigel and come over for the day for a lesson- He is very flexible and more than willing to teach whenever needed. 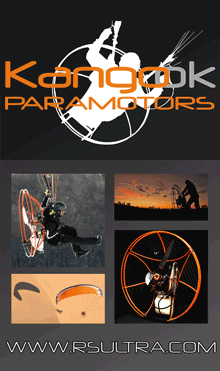 Great advice on motors and wings, Nigel has been non-biased and open to each individual's needs. My mate and I are currently both in training and has given us both very helpful advice on motors and wings that are suitable to our needs and skill level. Nigel and Nikki have exceeded my expectations in every way and I can't thank them enough! Not only have i learned to paramotor, Being from america-I've also learned to make proper english tea and fix my brummie accent! You learn so much more at UKPPG! First Class. I cannot thank Nigel and Nikki enough. Having had a bad experience with another school, I decided to try UKPPG for my PPG training, and I still cant believe how lucky I was. Having spoken to other trainees whilst there, they too unfortunately have had poor instruction elsewhere. Nigels attention to detail really paid off and even in the first day started to correct my poor technique. 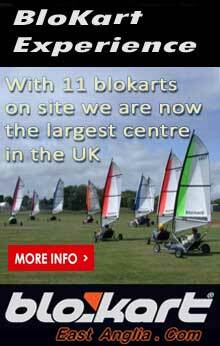 I would thoroughly recommend them for training, as it really is First Class. Nigel and Nikki are so wonderful and friendly, they really cant do enough for you. I had thought about going abroad to train due to the weather, but it really wasnt needed as the time and dedication that is put into training definitely makes the most of every minute thats available. I cant thank you both enough.